AnonD-71868, 24 Oct 2012People feel uncomfortable even with a 4.7" display, I think this 5.5" display is way... moreThat's not true! I did say the same when I haven't got 4.7 or 4.8 but now I have S3 4.8 and it's beautiful in my hand. I'll never go back to any smaller screen. AnonD-71868, 24 Oct 2012People feel uncomfortable even with a 4.7" display, I think this 5.5" display is way... moreThe iphone was considered wierd and abnormal at 3.5 inches when it came out.... Now thats comically small. 5 inch screens will be the standard of high end devices in 2013. 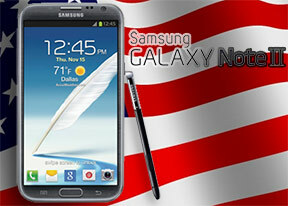 If you dont like it stay with the smaller screens but nowdays people dont even blink at a 4.8 inch sgs3. People feel uncomfortable even with a 4.7" display, I think this 5.5" display is way too big for daily usage. Maybe if you keep it only in your house and use it when you come home, it's ok, but you can't show with this device in public, you will look like a fool. As I said, even 4.7" is too big for most hands. I have had the note 2 for 3 weeks. The power and smoothness is great, the battery life is out of this world, the build quality is first rate and the screen is simply the best. Put simply this is the best device on the market at the moment. Its size makes it perfect for games. Web browsing, emails and videos and you still have a device thats a phone and perfectly comfortable in most pockets. WELL DONE SAMSUNG! Anonymous, 24 Oct 2012the current ultimate smartphone. until the next S4 or Note3. apple is for kids and grandparents.It's not a phone, it's a phablet. Don't compare it to smartphones, because it isn't fair. But even if you want it, you have to ask yourself if you really need it, you will use it for what? If you're not a businessman, you won't need it, and you will look like a fool using it, being that big. Almost two weeks with my (unsubsidized) Note 2 now, and I don't regret a single penny spent on it. But paying $300-$370 on contract kinda lacks of point. You'd be better off buying an unlocked international Note 2 from Amazon at about ~680 bucks and go prepaid. However it's good that American consumers have the choice to take either way they like. AnonD-72272, 24 Oct 2012Does this mean that the US version does not have FM radio and the International version availa... moreIntrernational version of s3 have FM radio so the note 2 global version will haveit too. Don't know about the US but i think it will have it. They started showing ads on tv's.....incredibly creative. Its amazing stuff. the current ultimate smartphone. until the next S4 or Note3. apple is for kids and grandparents. Does this mean that the US version does not have FM radio and the International version available in India has FM radio??? Can anyone please confirm??? so sad that this review comes after ipad mini announcement; now note2 has no chance in the big phone segment. i do not understand why america version needed. anyway apple better than samsung. Anonymous, 24 Oct 2012i think ipad mini is much better because it has larger screen and good specs.What? iPad mini good specs? Old dualcore vs modern quadcore, 512MB vs 2GB, low res vs HD display. You name it, everything is better on Note II, plus the Note II is a phone that can be used in one hand and carried around easily. If theres an ipad mini with good specs then it has not yet been launched, or else we would all have heard about it. i think ipad mini is much better because it has larger screen and good specs. If you sweat a little, you could buy both a smartphone and a tablet in this budget :). But, I guess that this phablet has its own niche. Spec-wise, this one looks hot as hell. But i remember saying the same about the SGS3, and then being disappointed in how TouchWiz messed everything up. But watta'hell, if you want it, and you have a few hundred dollars to spare, why not?